As the fantasy game expands for better or worse, one of the recent trends I’m more than happy to see included is return yardage. Special teams can alter an NFL game drastically, and it only makes sense to have that translate into the fantasy spectrum. What makes it so great is the convenience. All you have to do is treat your return yardage like rushing or receiving yards. 10 yards = 1 point. A TD = 6 points. Simple. Easy. While the IDP community continues to bicker over what point values to award even the simplest plays (a futile effort in my opinion), the return game goes hand-in-hand with the offensive side of the ball. You can always measure accumulation, but I have yet to hear a prodigious theory on how you calculate prevention. Including special teams yardage adds another layer of depth when constructing your roster. While some players go have having no value to being rosterable, some stars are elevated further when taking into consideration their return contributions. You’ll find a little of both in the list below of the best kickoff returners in the game. Much like my defensive end rankings a week ago, the man at the top shouldn’t be of any surprise. 1. Devin Hester, ATL – It’s 10 years and counting for Hester as the premiere return specialist in the league. He was the only player to top 1,000 kick return yards in 2014 (1,128), and also made a splash in the receiving game. Part of Hester’s success came from the Falcons’ atrocious defense, giving the former Hurricane several more chances than any other player. I don’t think Atlanta’s defense will be that much improved with Dan Quinn, but I do think Hester remains the most dangerous specialist in the game. That combination makes him the easy #1 choice. 2. Jacoby Jones, SD – Mark my words: Baltimore is going to regret letting Jones take his talents out west. His straight line speed and ability to hit holes at max velocity make Jones a constant threat to house one. He was second among qualified returners with a 30.6 AVG and second to Hester with 978 kick return yards. It looks like Jones will never make his mark as a wideout, but Jones’ ability to flip field position has ensured his services remain in high demand. 3. Knile Davis, KC – Davis might just be a top-20, maybe even top-15 RB in the NFL right now. Problem is, there’s this guy named Jamaal Charles posted at #1 on the depth chart in Kansas City. Davis, to his credit, has found another way to get his shine and that’s by being one of the best kick returners today. He averaged 28.6 yards per return including a 99-yard TD return in 2014. For those Charles owners who hate using a roster spot on a handcuff, Davis’ return ability give him flex-worthy value even with the JC of KC in fine form. 4. Cordarelle Patterson, MIN – Yeah, I have a bad taste in mouth about this one, too. Patterson will probably go down as the biggest industry flameout from a season ago, but that shouldn’t dissuade you from picking up Patterson for his return skills. His 871 kick return yards were good enough for sixth, and, like Jones, he has the top end speed and athleticism to break one loose on any kick. The fact that he didn’t bust a long one last year makes me think Patterson is due for a TD or two this season. 5. Jarvis Landry, MIA – When you think about WRs that make the best return men, a possession receiver who averaged under 10.0 yards per catch last season probably wouldn’t be your prototype. To his credit, Jarvis Landry was making an impact on special teams long before he became a PPR darling during his rookie season. Landry finished in the top-5 in kick return yardage, averaging over 28 yards per runback. If you play in a PPR that counts return yardage, Landry shoots up among the top-15 at his position. 6. Benny Cunningham, STL – For a RB that only mustered 246 yards on the ground last year, I sure got a whole lot of run out if Cunningham. Not only did he add 352 yards on 45 catches, but he also added nearly 1,000 yards on kick returns alone. For my mathletes out there, that’s over 1,500 all-purpose yards that were constantly sitting on the wire in most leagues. He never won me a week, but Cunningham was a rock of consistency and hidden points that came in handy, especially during those troubling bye weeks. Don’t forget his name this year. 7. Dwayne Harris, NYG – The talk all offseason is how the Cowboys will overcome the loss of a key contributor to a division rival who outbid them. What’s that? DeMar– who? I’m talking about the special teams ace, Dwayne Harris. Harris was top-10 in total kick return yardage and had over 1,000 combined return yards last season. That output earned him a lucrative deal to jump to the rival Giants. With the Giants seemingly loaded at receiver, Harris will be focused on making a massive impact in all facets of special teams, none more so than running back kickoffs. 8. Jeremy Ross, DET – With Reggie Bush no longer calling the Motor City home, the return responsibilities fall exclusively on the shoulders of Jeremy Ross. He’s listed as both the primary punt and kick returners for the Lions, making him a relevant add at the end of drafts for his return yardage alone. It wouldn’t be a surprise to look up and see Ross around 1,200 all-purpose yards when all is said and done in 2015. 9. Jordan Todman, CAR – Now that Jordan Todman is out of NFL obscurity, AKA Jacksonville, his name might be on the lips of a few more NFL and fantasy fans. Todman is only one J-Stew injury away from seeing significant action in the backfield, but he’ll provide immediate dividends on special teams. Todman was 3rd in the NFL in 2014 with 972 kick return yards, but much of that came on the backs of a Jacksonville defense that allowed a bunch of points. Don’t expect a repeat, but draft Todman a round or two earlier than you might if his return yards count. 10. Andre Roberts, WAS – I’m still waiting for Roberts to get his opportunity to shine at WR, but thanks to Washington bringing in Desean Jackson a year ago, that will have to wait. Luckily, Roberts continues to make an impact in the kicking game. He recorded over 700 yards on returns and is fully entrenched as the Redskins’ primary return specialist. It wouldn’t surprise me one but to see Robert’s top 1,000 combined return yards in 2015. 11. Dexter McCluster, TEN – As of this moment, McCluster has the inside track on both the punt and kickoff return gigs in Tennessee. Much like Atlanta, the Titans’ defense probably won’t be much improved, meaning McCluster could see the ball in his hands quite a bit. He could be a risk, as he’s only returned one kick the last three seasons. But any offensive player who could monopolize the return game has significant value. 12. Marcus Thigpen, BUF – Thigpen bounced around the league last year, splitting time among the Patriots, Bucs, and now the Bills. It looks as if the Bills have given up on the Olympic experience that is Marquise Goodwin, at least in the return game, by bringing in a return specialist like Thigpen. Although the recent contributions have been negligible, remember that in 2012 & 2013, Thigpen totaled over 1,900 kick return yards in his first two seasons. The miserable conditions in Buffalo should give Thigpen an extra couple of returns throughout the season, and every point counts. 13. Marc Mariani, CHI – Like Thigpen in Buffalo, Mariani is another special teams ringer brought in exclusively to pump up the return game. Considering he has a career reception total of five, Mariani has to continue to shine as a specialist. He averaged over 25 yards per return in 2014 and will be the Bears’ primary kick returner again this year. He’s a decent play in some outdoor stadiums where touchbacks will be minimal. 14. Josh Cribbs, FA – No list of return men would be complete without the inclusion of Cribbs. He rivaled Devin Hester as the best in the game for many years as a member of the Browns. He may not be the Cribbs of old, but he showed last year he can still alter field position, averaging 32 yards per kick return in 2014. The only reason Cribbs doesn’t find himself higher on the list is that he’s currently a man without a team. Even at 32 years of age, I expect him to get a phone call in the coming weeks from a team that can’t find a difference maker running back kicks. 15. Keshawn Martin, HOU – Although he’s been a mainstay at punt returner for the Texans, Keshawn Martin has also been a nice contributor running back kickoffs. In his first 3 seasons, Martin has amassed over 1,700 kick return yards, including a 26.3 average in 2013. There’s only one small hurdle keeping Martin from another successful season, and that’s making the roster. Bill O’Brien has shown he’s wiling to shake things up, and with a youth movement taking over at WR, Martin will have to prove his worth at WR to ensure he stays relevant at KR. 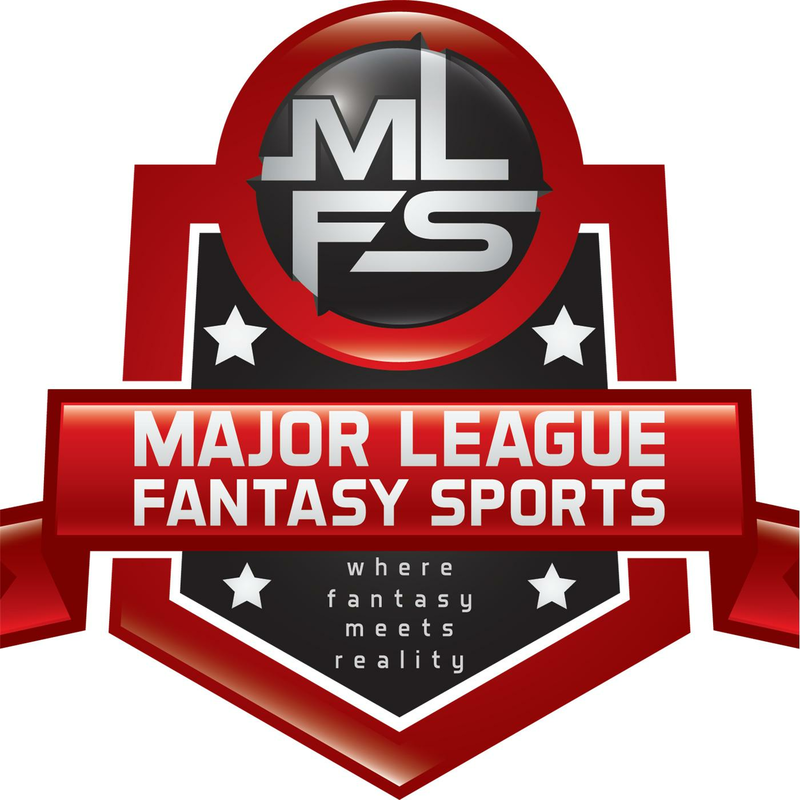 Major League Fantasy Football Show: Join Ej Garr and Corey D Roberts on Saturday August 15th from 2-3:30pm EST for this week’s episode of Major League Fantasy Sports Radio sponsored by the Sports Palooza Radio network. Call in live at 646-915-8596. This week is all about the QB, and LB positions. Our guests this week are Jeff Nelson, Lou Landers, and Matt Barkman. Jeff is a defensive football coach for White Hall H.S. in PA. Lou Landers is writer with majorleaguefantasysports.com, and a frequent radio guest. Matt Barkman is also a writer with MLFS, and he is currently focusing on the QB, and TE positions. Come join a lively discussion.